Perfect. We purchased a foreclosure and couldn't move in until we had a new roof put on. 21 Roofing Group was amazing! They were literally on standby and started the roof as soon as we closed and the keys were in my hands. They took off extra layers of shingles and put on the new one in just one day. When I got there that afternoon, they were halfway done. They were professional and made sure everything was cleaned up before leaving. We walked the property and made sure everything was perfect before leaving. It's two years later, and the roof still looks great. We get lots of compliments on what a difference our new roof makes. We recommend them anytime we can. Erik and his group were great and very responsive after the recent hurricane. They matched up the shingles perfectly and were very diligent in inspecting and caulking. Cleaned up everything when completed. I can't say enough good things about this company. Erik and his team are reliable, honest, and incredibly fair. Their customer service is beyond what I have ever experienced. It is obvious they take pride in what they do and strive for customer satisfaction. I love 21 Roofing Group!!! I called early in the morning around 9 AM and received a call back within the hour, and had someone at my home to check out the problem by noon the same day. I was very, very pleased with the quick response. Once the problem was diagnosed, I was given a quote and the work was done within the same week with no hidden fees or charges. I am very pleased with the response, customer service, and most importantly, the work. Price wasn't bad either. Would and have recommended 21 Roofing Group to others. The professionalism of the 21 Roofing Group was over and above what I could have expected. When I called to request them to come out and discuss the issue I was having, they responded that same week and did the repairs within that same week. We will absolutely use this company again if needed, and we would also recommend 21 Roofing Group to anyone in need of a roofing solution. Excellent service and professionalism; work was completed, entirely satisfactorily, on the same day. I would definitely use this company again, if the need arises, and I would also recommend them to friends/neighbors. Erik is fantastic. Thorough, fair priced and very friendly. Needed a full roof replacement and they left my property looking better than before. It was super easy and never felt taken advantage of. In fact, it was the opposite-- like I hit the roofing jackpot. You need to try them out if you have any issues with your roof. Very reliable. Showed up when scheduled. Very professional and courteous and easy to work with. Finished job looks great. Professional, reliable and great workmanship! Professional, reliable and great workmanship! They provide the best warranty on the market as well. Professional and fast company. Called on a Tuesday, estimate on Wednesday, gutters installed on Thursday. Just in time to beat the rainstorm that was coming. Highly recommended. Erik came out the same day I called and had the work done by the following day. The sent me pictures of the whole process. These guys are super-fast, do great work, and are unbelievably nice. I absolutely recommend their service and will use them in the future!! We were very pleased with the company. We were very pleased with the company. They were very informative and knowledgeable to any questions we had. The work was completed in one day! It was time to get gutters reinstalled. I talked with Erik, and within a week or two, a time had been set up. We now have our gutters and don't have to worry about rain splashing up as we sit on the front porch. They look great and even installed a rain barrel we had bought. Great service, great work, everything top notch. Thank you, Erik and 21 Roofing Group. Very good experience with this company. Great job, guys. I would recommend them anytime. From scheduling and communication to finishing the job, you were on top. They did a great job repairing a piece of my eave that blew off in a storm. Several others were unable to help me or quoted a ridiculous price. 21 Roofing Group came out and fixed the problem quickly and efficiently for a great price. So happy I found them! 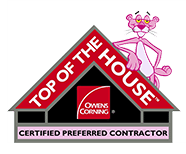 By far the best roofing company I have ever dealt with. Besides the remarkable work they do, the customer service goes above and beyond. Eric and his team take it to another level to ensure that the customer is 100% satisfied. Erik and his staff were a pleasure to work with from day one. Great customer service, quality work and fair prices. I am a real estate broker and have added 21 Roofing Group to my preferred list of contractors, as I know when I refer this fine company to a client they will be 100% satisfied. I cannot say enough good things about 21 Roofing Group. They were prompt in coming out to assess our situation, and Erik was extremely knowledgeable. We could not be happier and would highly recommend to anyone. Excellent work! Extremely impressed with this expedient service. Called to schedule a roof evaluation. They were able to come out immediately, and I had a reasonable repair estimate in no time! Extremely impressed with this expedient service. Highly recommend! No problems of any kind with job. Everything was done exactly as agreed in a very timely manner. No problems of any kind with job. Big thanks to Doug for overseeing this project from start to finish! I had a roof leak for some time that started to get worse and asked a realtor friend of mine if he knew of a quality, trustworthy roofing company, and he recommended 21 Roofing Group. I called 21 Roofing Group and spoke with Erik, who had Doug come out and give me an estimate within a day or two from my initial call. Along with giving me an estimate, Doug took the time to explain the roof replacement process and answered all my questions in detail. I also asked 21 Roofing Group to replace my existing gutters with a bigger gutter and add gutter guards. In less than two weeks of me calling 21 Roofing Group, I had a new roof and gutters that look great! Based on other estimates I received, this was all done at a very fair price. The most important detail that I can leave in this review other than the quality of work being great is that I'm big on communication. To me when making this kind of investment, I would like to have all my questions and concerns addressed, no matter how small or uneducated I may be about the materials or work being done. These guys are untouchable when it comes to customer service at all levels! Thanks to Erik for getting me set up. Thanks to Ivy for answering questions regarding scheduling and follow-up. Big thanks to Doug for overseeing this project from start to finish! 21 Roofing Group also does window replacement, and I will be reaching out real soon to have my windows replaced as well! From start to finish, I’ve never felt more comfortable with a company and with the owner, Erik. He is honest, dependable and delivered on all his promises. After full roof replacement, he left my property better than before, and the work was great. His whole staff was amazing, and I can’t believe how fast it went. Pricing was very reasonable. I recommend them for any of your roofing needs. Oh yeah, he did my large roof and fixed my chimney in one day. Faster than promised. Thank you, Erik! Fantastic representative for a great company. Recently I was forced to replace my roof due to hail damage. I took in several bids to have this work done when Erik Ramirez, representing 21 Roofing Group, was recommended to me. At that point, my search ended. Mr. Ramirez provided a reasonably priced roof replacement package along with all insurance and liability documentation, protecting me, the consumer. 21 Roofing Group went on to remove and replace my damaged roof in a timely manner and fully protected my home from damage. 21 Roofing Group did an outstanding job from start to finish, and I could not be more satisfied with their work. Mr. Ramirez was an absolute professional throughout the process and a fantastic representative for a great company. I rarely recommend companies to others, but in this case, I highly recommend 21 Roofing Group. This is a company that will not disappoint you! Excellent service. My roof was replaced in just one day. Job well done and cleaned up afterwards. If you're looking to have your roof repaired/replaced, I highly recommend 21 Roofing Group. Doug Brown went over and above to help fight my insurance company for a complete roof replacement when they only wanted to pay for half. Great customer service. Doug is a very trustworthy and hard-working individual. I would highly recommend anyone to get a free estimate and see for yourself before hiring anyone else. I have been doing multiple renovations throughout my newly purchased home, and Doug was one of few who gave a fair estimate/evaluation. Erik and his team at 21 Roofing Group exceeded our expectations for several reasons when compared to the contractors of today. Erik was quick to respond to our request for an estimate to re-roof our home. He took his time explaining the process, came out to our home to assess the job on time, and provided exceptional details and pics for the job estimate. He was very knowledgeable on the products, and we felt very comfortable with the selected roofing materials. The 21 Roofing Group crew was on time the morning of the job. They took great care to ensure all landscaping was covered and protected from debris and were always very considerate and hardworking. Erik and his team were very patient and attentive to any questions we had during the job. This team showed great pride in doing the job the right way, and the finished product was very impressive. We would highly recommend 21 Roofing Group if you care about product quality, price, craftsmanship, and dependability. I have a roof that is challenging for any company, with various levels and pitches. 21 Roofing Group provided fantastic service and designed a system that would prevent the many issues I’ve had over the years. I cannot express my enthusiasm for them enough. They do what they say when they say it. Crew was on time, professional, courteous and went the extra mile to make sure all work and clean-up were completed in a timely fashion. Thanks, 21 Roofing Group, for giving me peace of mind. Our realtor recommended Erik and his team for a due diligence inspection. They were responsive, timely and answered all of our questions. We trusted their recommendations and costs. After closing, we decided to use him to make the repairs. I worked with Ivy on scheduling, and she is amazing! She is professional, friendly, and so quick to respond. They had to reschedule due to weather, but Ivy kept correspondence going and was apologetic, even though it wasn’t her fault. We were quickly rescheduled. The staff did a great job and even cleaned our gutters! My husband went over the next day to do it himself and was surprised to see it cleaned. Things like that are what makes a great business! We will be going back to Erik and his team when it is time for a roof replacement. Although I am happy to work with them again, I hope it’s not for a while for my pocket’s sake! 😉 I’d recommend 21 Roofing Group to anyone! 21 Roofing Group was recommended to us and did an outstanding job! They were very professional and displayed superior customer service throughout the transaction and even afterward. We will definitely be using them for all roofing needs in the future and recommending to anyone who needs roofing work! My roof was replaced in just one day. Job well done and cleaned up afterwards. If you're looking to have your roof repaired/replaced, I highly recommend 21 Roofing. Doug Brown went over and above to help fight Allstate for a complete roof replacement when they only wanted to pay for half. I have ever dealt with. Besides the remarkable work they do, the customer service goes above and beyond. Erik and his team take it to another level to ensure that the customer is 100% satisfied. I called and had the work done by the following day. He sent me a picture of the whole process. These guys are super-fast, do great work and are unbelievably nice. I absolutely recommend their service and will use them in the future!! I’ve never felt more comfortable with a company and with the owner, Erik. He is honest, dependable and delivered on all his promises. After full roof replacement, he left my property better than before, and the work was great. His whole staff was amazing, and I can’t believe how fast it went. Pricing was very reasonable. I recommend them for any of your roofing needs. He did my large roof and fixed my chimney in one day. Faster than promised. Thank you, Erik! due to hail damage. I took in several bids to have this work done when Erik Ramirez representing 21 Roofing Group was recommended to me. Here my search ended. Mr. Ramirez provided a reasonably priced roof replacement package along with all insurance and liability documentation, protecting me, the consumer. 21 Roofing Group went on to remove and replace my damaged roof in a timely manner and fully protected my home from damage. 21 Roofing Group did an outstanding job from start to finish, and I could not be more satisfied with their work. Mr. Ramirez was an absolute professional throughout the process and a fantastic representative for a great company. I rarely recommend companies to others, but in this case, I highly recommend 21 Roofing Group. This is a company that will not disappoint you! Thank you, Erik, and your excellent team. Customer experience was second to none. Thorough, Timely. 21 Roofing Group has performed exceptionally well for us on two homes in less than a year-- the home we sold and the house we bought. We will not use any other roofer ever. The quality of their Facebook and website page is indicative of their work on your most treasured asset: your home. Their way of doing business is a throwback to a much-desired bygone era of business practice. Call 21 Roofing Group. You won't be sorry! at 21 Roofing Group exceeded our expectations for several reasons when compared to the contractors of today. Erik was quick to respond to our request for an estimate to re-roof our home. He took his time explaining the process, came out to our home to assess the job on time, and provided exceptional details and pics for the job estimate. He was very knowledgeable on the products, and we felt very comfortable with the selected roofing materials. The 21 Roofing Group crew was on time the morning of the job. They took great care to ensure all landscaping was covered and protected from debris, and were always very considerate and hard working. Erik and his team were very patient and attentive to any questions we had during the job. This team showed great pride in the doing the job the right way, and the finished product was very impressive. We would highly recommend 21 Roofing Group if you care about product quality, price, craftsmanship, and dependability. They did a great job repairing a piece of my eave that blew off in a storm. Several others were unable to help me or quoted a ridiculous price. 21 Roofing Group came out and fixed the problem quickly and efficiently for a great price. So happy I found them! removed two layers of old shingles on our new house and replaced with new Architectural shingles. Also replaced some wood rot on the eves. Erik helped out more than words can describe leading up to the process. It was the first time we have used a construction loan when we purchased our new house and Erik was extremely patient and very accommodating with all the extra paperwork that was involved. We knew going in that the roof was in bad shape and Erik consistently kept us at ease. We took several bids and went with our realtors suggestion to use Erik and 21roofing, I'm glad we did. He knew we wanted to get the roof on quickly after closing and he made that happen even after we got delayed a few days. He and his team got here shortly after I left for work and were wrapping up when I got home. The cleaned up everything making it look like they were not even here. I didn't realize how much a new roof would improve the appearance of our new home but the proof was instant. Our new neighbors all came by to compliment how great it made the house look. With all the projects that were required with this new house we bought, I'm glad we used 21Roofing. This roof should last me a long time and will be sure to recommend Erik and 21Roofing to anyone I hear of needing a new roof. to change the siding on the rear and the right side of our new home. They were able to match our siding with no problem and they did a wonderful job with the installation. The owner was very professional, clean and provided the services in a timely manner. He and his company were very sharp, honest and very knowledgeable in this field. I definitely recommend 21 Roofing Group for your siding needs! and 21 Roofing has performed work for several of my clients and even a couple of neighbors, too. They done roofing, gutters and siding, depending on the clients' needs -- all to rave reviews. I have nothing but wonderful things to say about Erik and his team at 21 Roofing. They have performed work for several of my clients and even a couple of neighbors, too. As a real estate agent, any recommendation I give comes back on me if the vendor does not perform, and Erik's team has given above-and-beyond service to every person I have sent their way. Simply, I know the job will be done well, done on time and done for a fair price. Erik and his team also remain in constant communication with me and my clients, always keeping us informed of the process, especially if dealing with insurance companies. They have done so well that many other agents in my Keller Williams office have started using 21 Roofing, too, and each agent has come up to me later and said "thank you" for making the introduction.